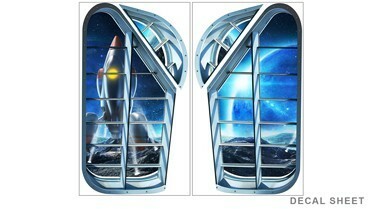 Enjoy the breathtaking view of the planet's landscape from these two large space station window wall decals. 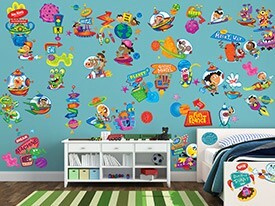 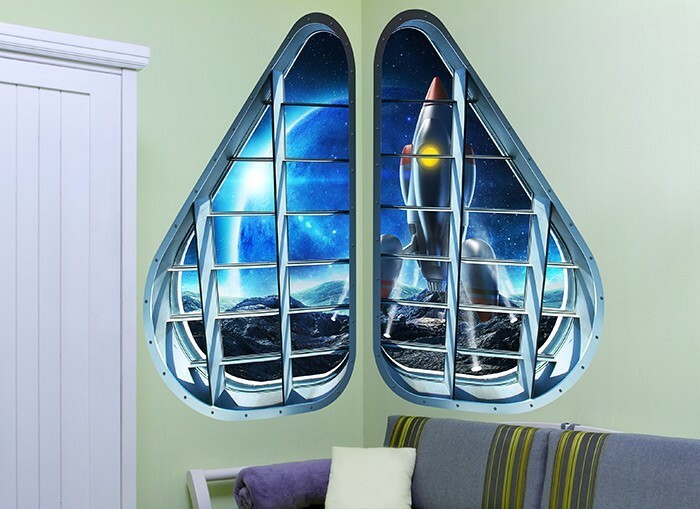 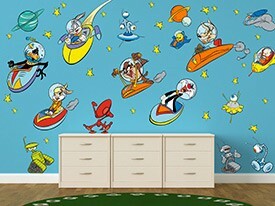 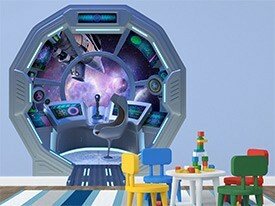 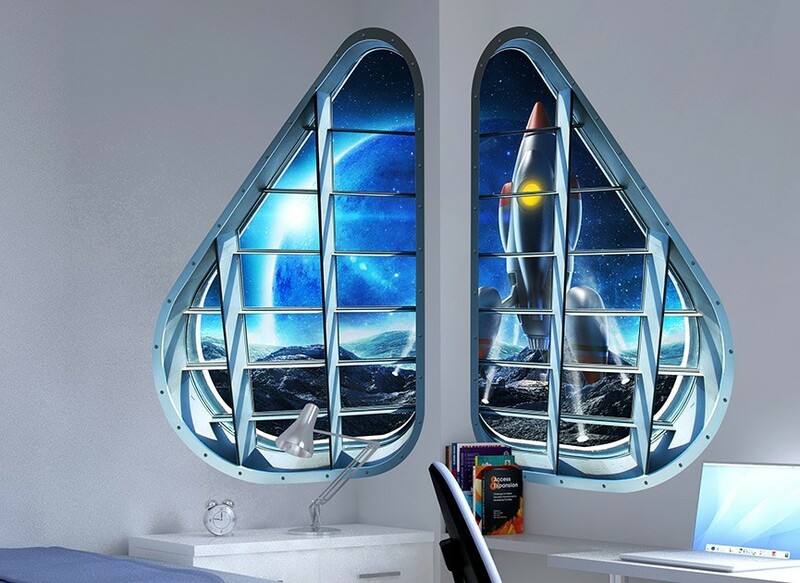 Count down the rocket launch from these Pick-Your-Neighbor outer space window wall decals! 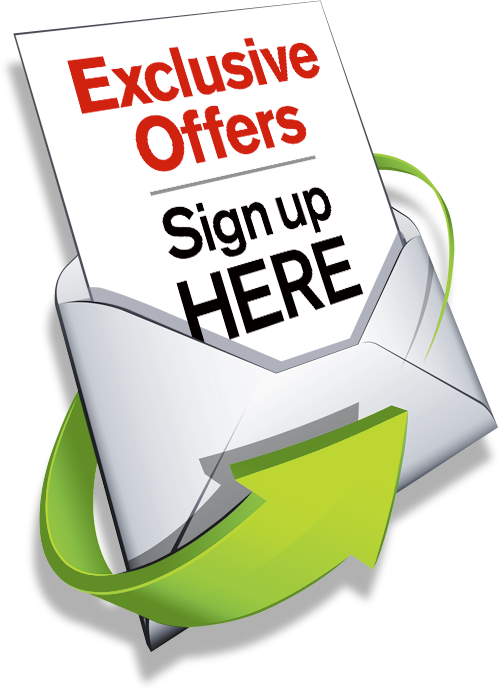 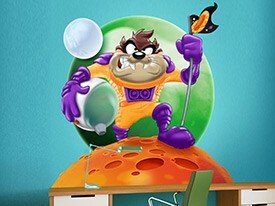 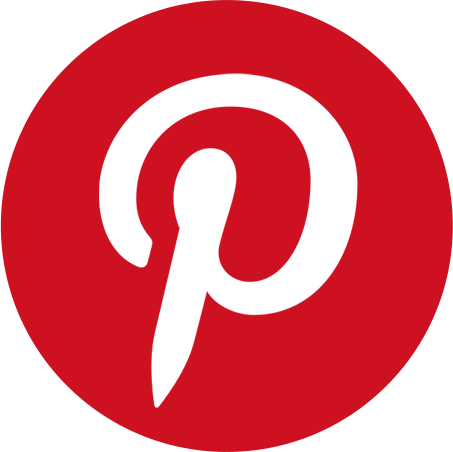 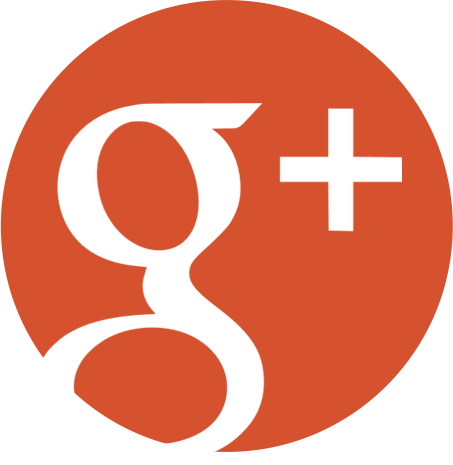 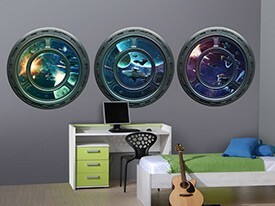 Hang these fun wall graphics in a bedroom, dorm room or man cave for an amazing 3D illusion. 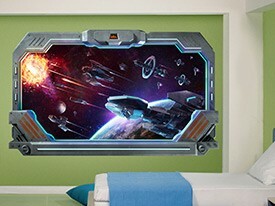 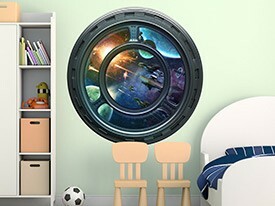 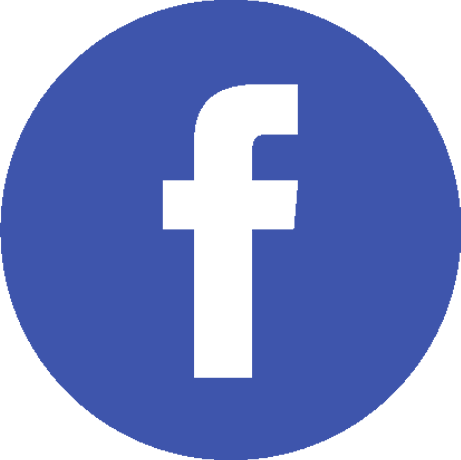 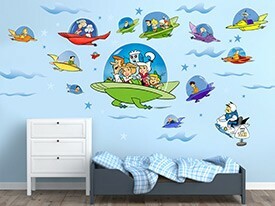 Combine it with one of our other spaceship wall decals and transform a whole room!